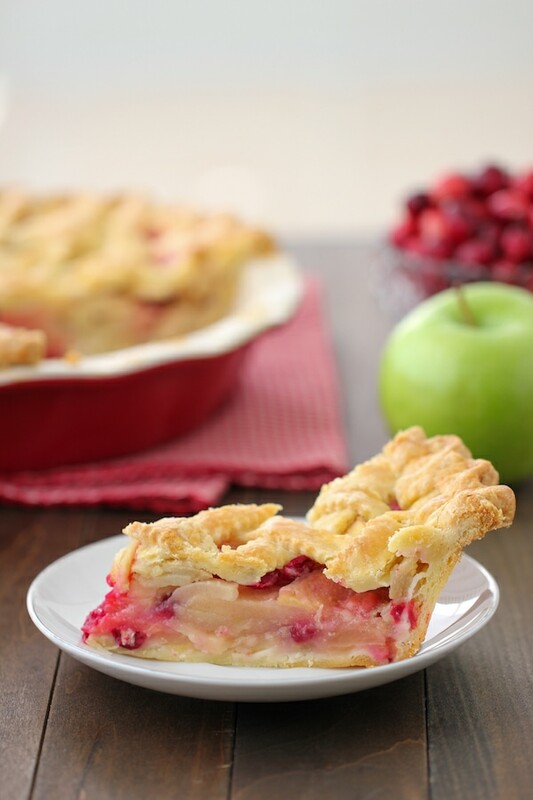 The most amazing Apple Cranberry Pie with a crisp and flaky golden crust and juicy sweet apple filling. The apples and cranberries pair really nicely together and the most amazing combination is serving the pie warm with a cold scoop of ice cream. 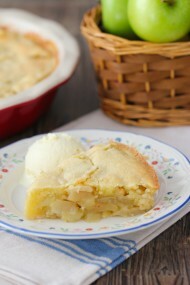 On chilly fall evenings, it’s such a treat to enjoy a slice of warm apple pie. The simplicity of this iconic American dessert is part of its charm. I’ve been perfecting this recipe for years and I am so happy to share it now with you. Since cranberries are in season right now, I decided to add them to the pie too. 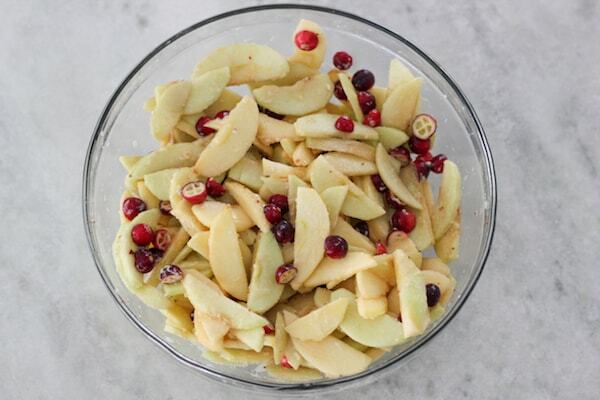 The combination of the sweet apples and the tart cranberries marry so wonderfully together. The pie crust is so flaky, buttery and tender. I think the small addition of the sour cream adds more flavor and makes the crust just a bit softer. It tastes so good, I want to roll it out and make it into cookies. Taking a golden brown pie out of the oven always makes me feel so cozy and “housewifely”. I hope you enjoy treating your loved ones to this Apple Cranberry pie and see the smiles on their faces as they are savoring every bite and thanking you for it. Roll out one of the discs of the pie dough into a 12-14 inch circle. Ease it gently into a deep dish pie plate. 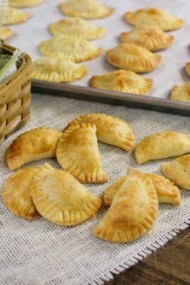 (You can also use a regular pie pan, you will just not use all of the filling to fill up the pie.) 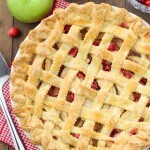 Fill the pie with the apple cranberry filling and dot the top of it with the 2 Tablespoons of butter. 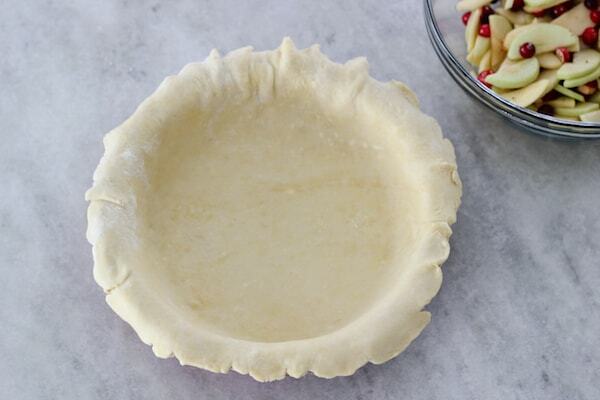 Place the filled pie into the refrigerator while you work on the top crust. 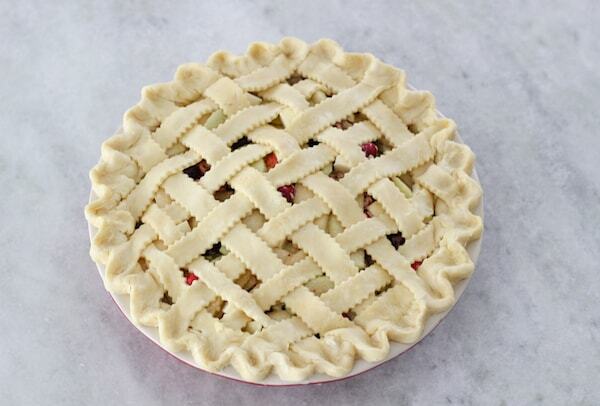 Roll out the second pie crust and make it into a lattice top, or whatever kind of topping you like. Crimp the edges of the pie to make a pretty edge all the way around. Brush the top of the crust with the egg wash. Bake the pie in the preheated oven for 25 minutes, then reduce the heat to 350 degrees Fahrenheit and bake for another 50-60 minutes. 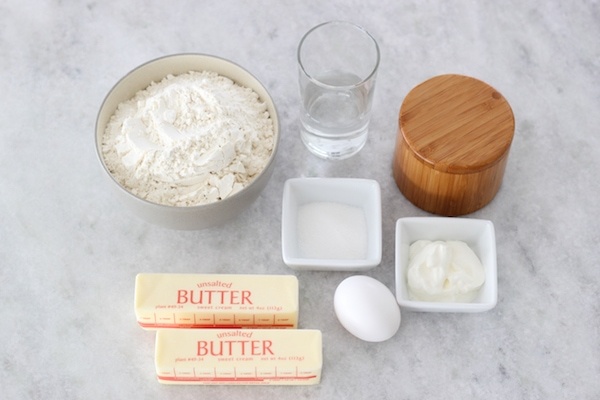 I start out with placing the butter and the water into the freezer while I am taking out the rest of the ingredients and getting everything set up so that they are extra cold. 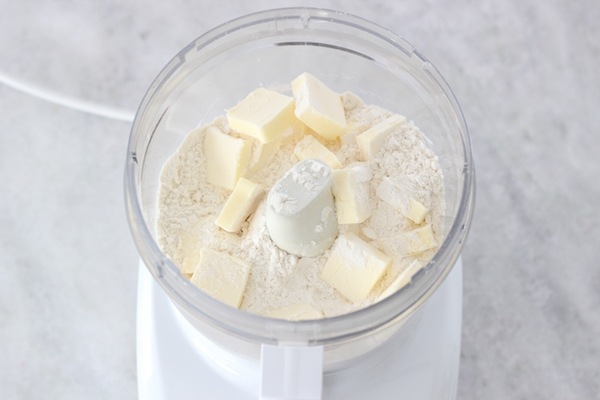 Place the flour, salt, and sugar into a food processor and add the cold butter pieces. Pulse until there are pea-sized pieces of butter in the flour. In a medium bowl or cup, combine the egg, sour cream and 3 Tablespoons of ice cold water. 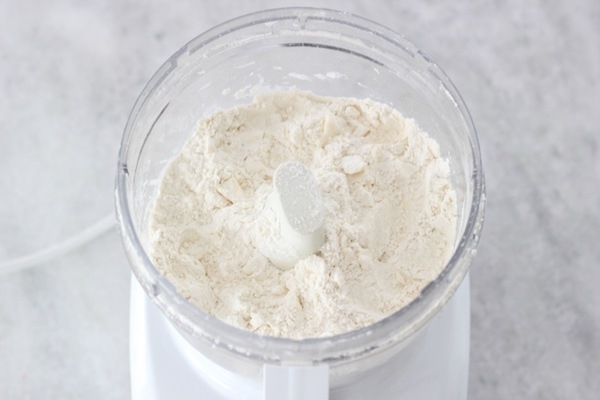 Pour this mixture into the flour and pulse to combine again. 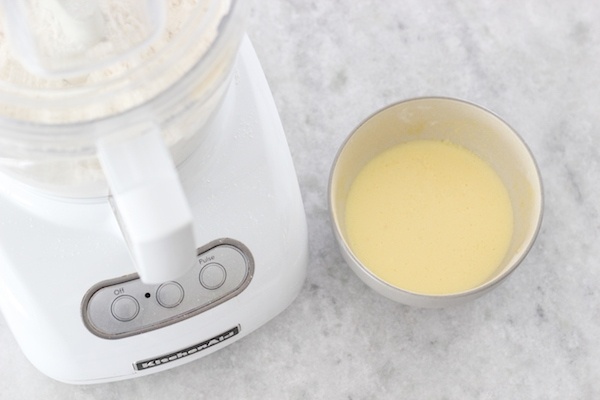 Keep adding more water, one Tablespoon at a time until the pie dough starts to come together. Don’t overmix it. 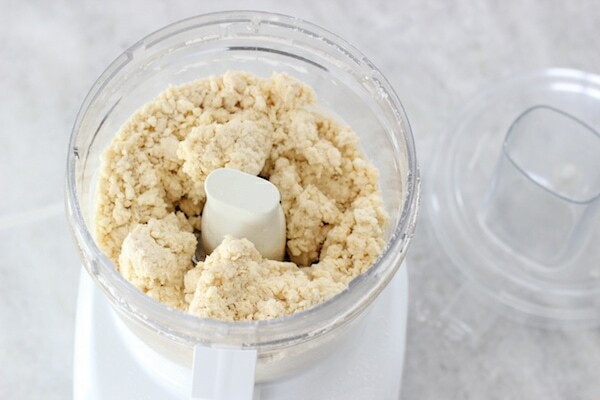 Dump it all out onto the counter and quickly knead it together until all the loose flour is incorporated into the dough, but don’t overwork it. 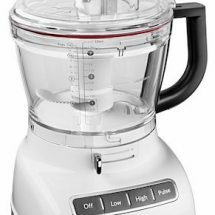 Be very quick, since you don’t want your warm hands to melt the butter in the dough. 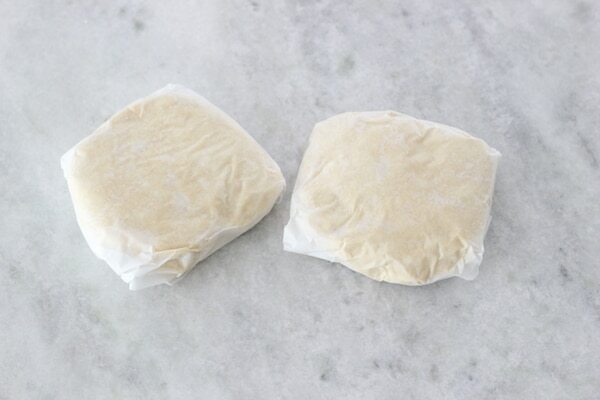 Divide the dough in half, and wrap each in parchment paper, plastic wrap or aluminum foil and place into the refrigerator to chill at least for 1 hour. You can store it in the refrigerator a few days or in the freezer for a month. 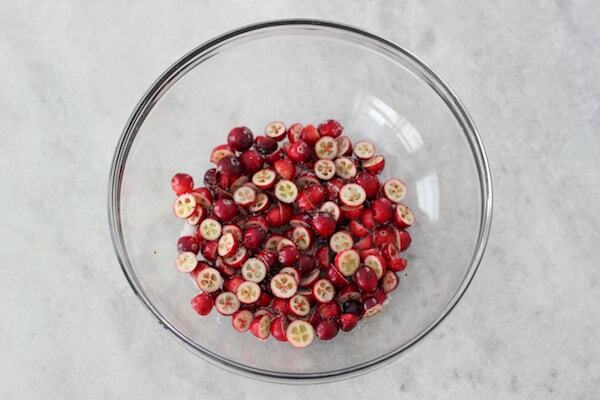 Cut the cranberries in half and toss with 1-2 Tablespoons of the sugar. I like to do this because cranberries are really tart and this gives the sugar a better chance to soak into the berries and sweeten them up a bit. 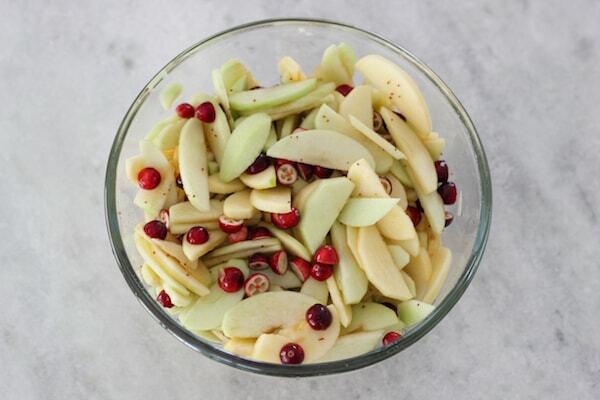 Peel and slice the apples and place them into a large bowl with the cranberries, the rest of the sugar, lemon juice and salt. Set aside for at least 30 minutes. 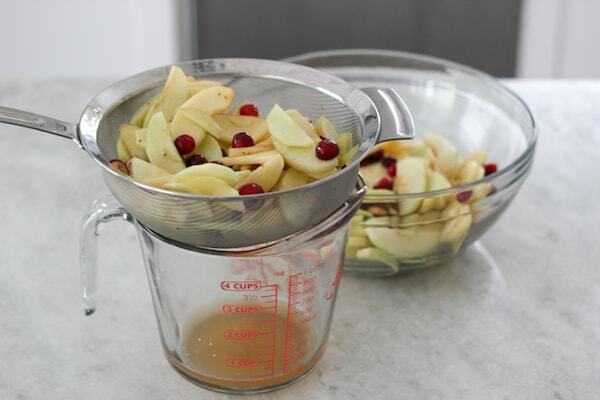 Drain all the juice that will accumulate in the bottom of the bowl. I got almost 1/2 a cup! This will keep the pie filling from becoming too watery. 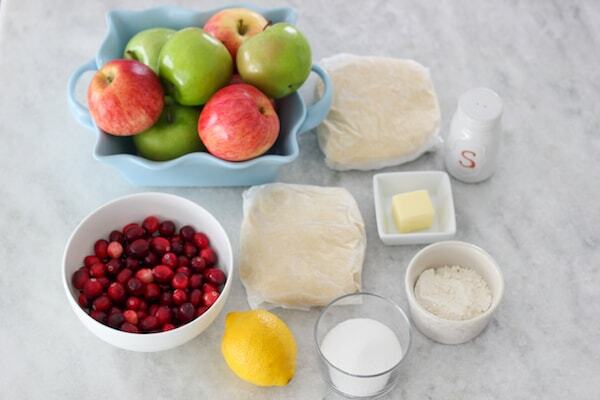 Add the flour to the drained filling and toss it together until all the apples and cranberries are coated in flour. Roll out one of the discs of the pie dough into a 12-14 inch circle. Ease it gently into a deep dish pie plate. Keep the pie dough cold at all times. 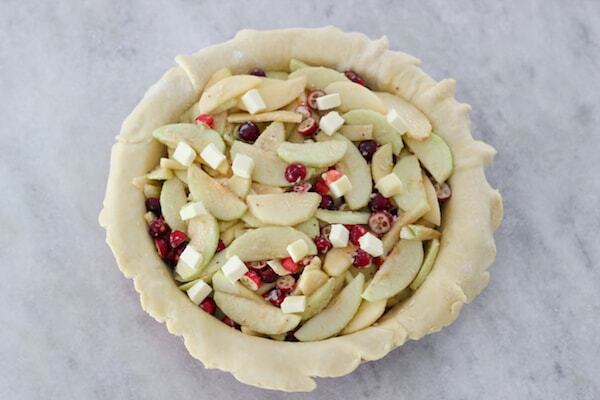 Fill the pie with the apple cranberry filling and dot the top of it with the 2 Tablespoons of butter. 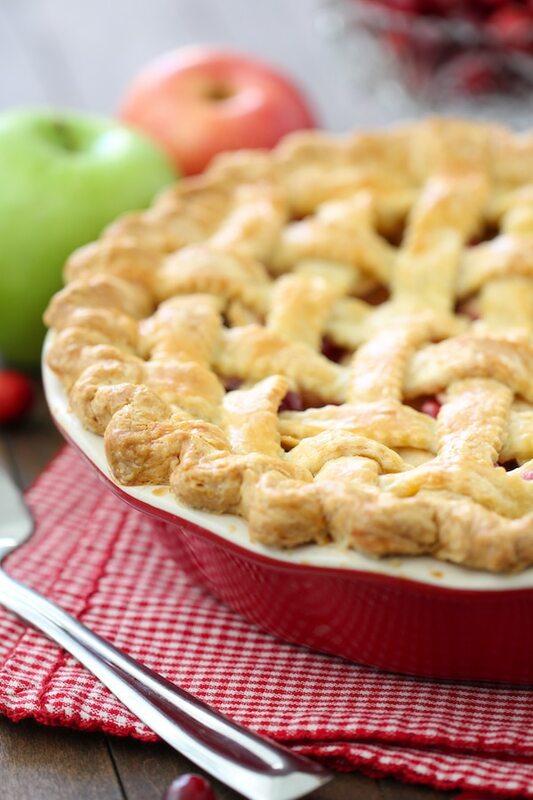 Place the filled pie into the refrigerator while you work on the top crust. 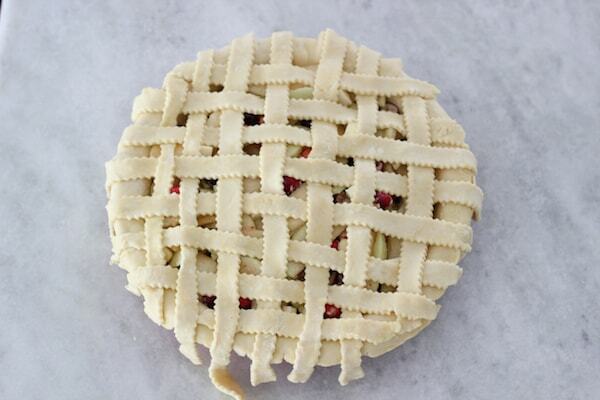 Roll out the second pie crust and make it into a lattice top, or whatever kind of topping you like. Crimp the edges of the pie to make a pretty edge all the way around. Brush the top of the crust with the egg wash.
Bake the pie in the preheated oven for 25 minutes, then reduce the heat to 350 degrees Fahrenheit and bake for another 50-60 minutes. Can I use dried cranberries as well? Yes, you can. 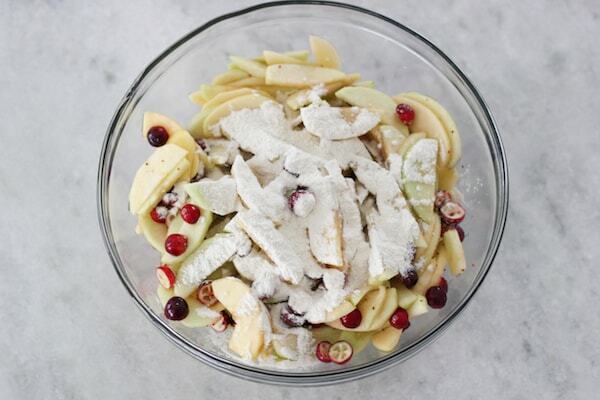 If you use dried cranberries instead of fresh/frozen ones, I would add less sugar to the filling. Amazing! 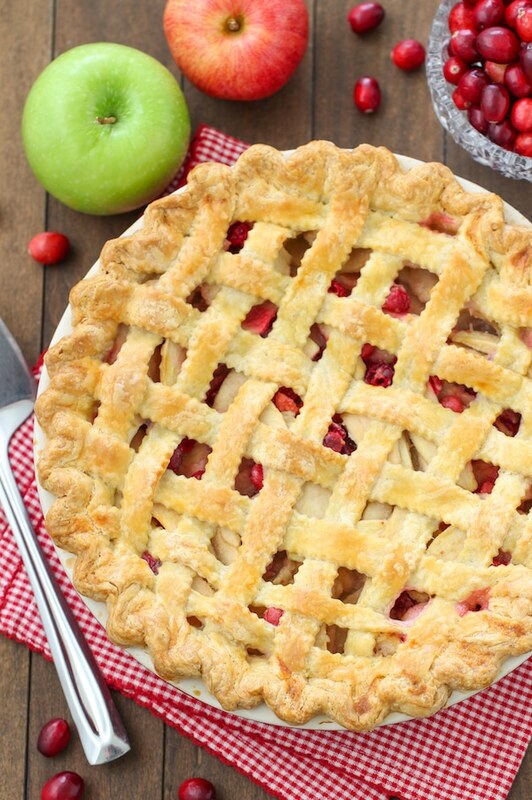 This Apple Cranberry pie looks very delicious and mouth-watering. Thanks for sharing. Hi Olga! What do you do with the juices? Can this assembled but not yet baked pie stay in the refrigerator overnite? I did it and it was fine! Is this the recipe for dip dish pie or the regular one? I used the deep dish pie plate, but you can use a regular one too. 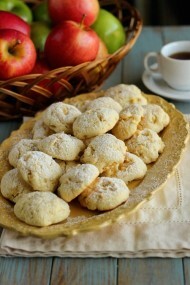 You may need to use less apples. Looks amazing! Could I prep the pie the night before? And then just bake it the next day? Or you think it’ll be too soggy? It will definitely be too soggy. You can prep the pie dough in advance, Victoria. You can even roll it out and put it in the pie plate. Make sure to either freeze it or keep it in the refrigerator. 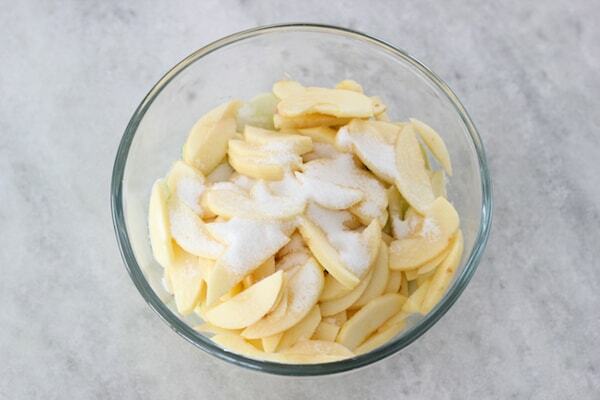 Apples will become brown if you do them in advance and if you soak them in a lemon water solution, they will have too much moisture.